It’s been a great summer, and while it’s not quite over, I am already thinking about the fall. 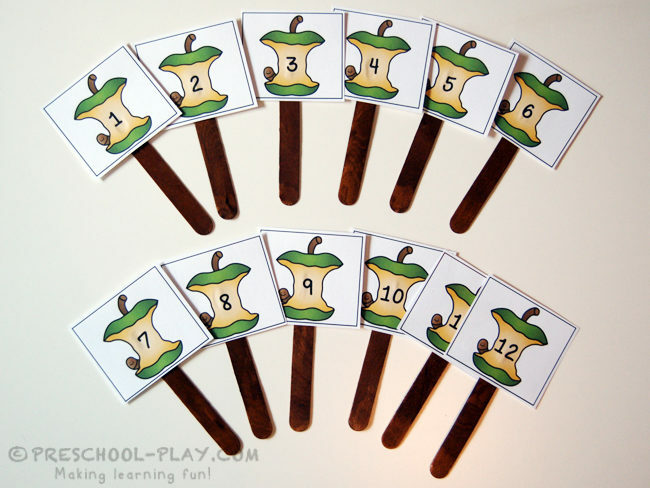 Gluing the cards onto jumbo craft sticks makes this activity extra fun for little hands. 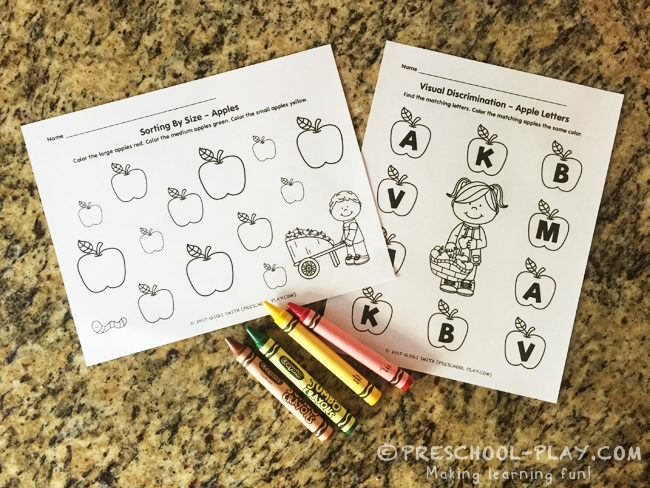 With these cute worksheets, kids will find the matching letters and color those apples the same color. They will also sort apples by coloring the large ones red, the medium green, and the small yellow. Make it a point to discuss other words for large and small. What a fun way to start the new school year! 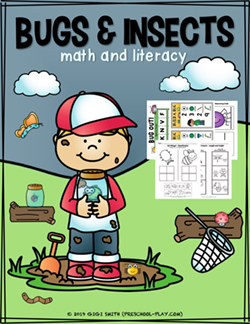 Get this Apples Math and Literacy pack. Print these cards out on cardstock (laminate for heavy use). 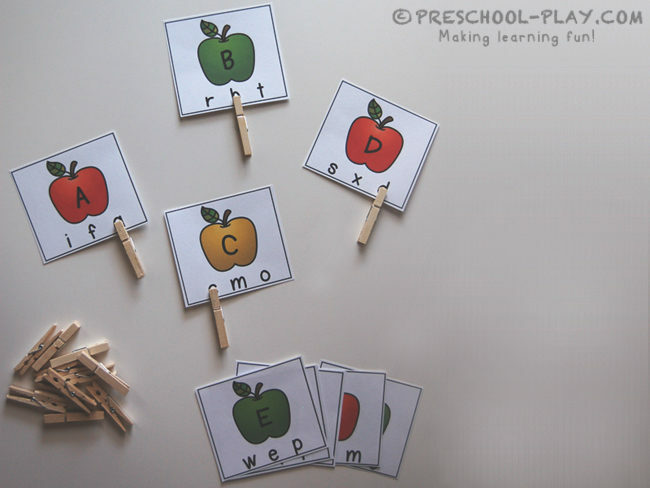 Place them on your word walls and in your writing centers for easy visibility and access. Encourage children to copy and sound out the words. Print these out on cardstock (laminate for heavy use), and cut the puzzles into strips. Students will complete the puzzles by placing the pieces in numerical order. Print these sheets out on cardstock (laminate for heavy use). Provide seashells, mini erasers, pom poms, vase gems, or some other small manipulative for students to use as markers. 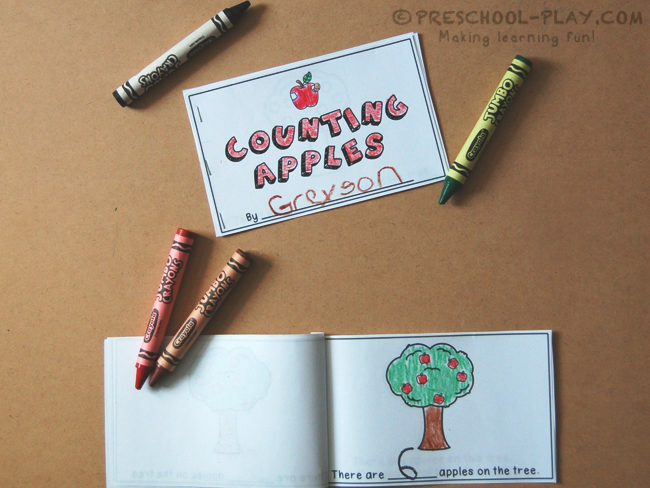 For individual use, have the child roll the die, count the dots or recognize the “set” of dots, and find and cover the matching sets on the sheet. Repeat until all of the spaces are covered. In small group, give each child a sheet and have them take turns rolling the die. The first person to cover all of their sets wins. Trade cards and play again! A writing prompt (“If I lived under the sea, I would…”) is included in the worksheet section of this pack. Children will continue the story. Older learners may want to copy and/or write their own words. Have younger learners dictate to you, and repeat each word slowly as they watch you write it out onto the sheet. Encourage all students to draw a picture of their story in the space provided. 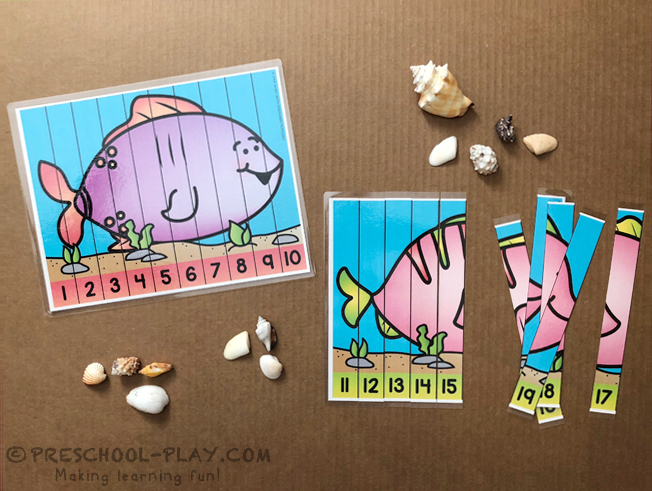 Additionally, with these worksheets learners will count jellyfish, measure seahorses, segment syllables, identify beginning sounds of some ocean animals, and so much more! 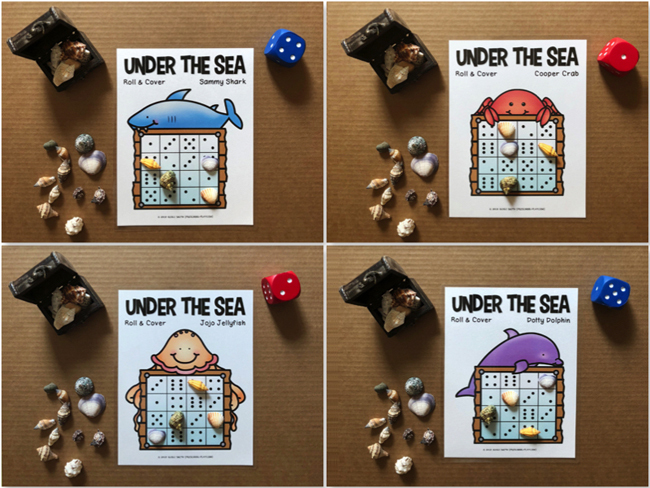 CLICK HERE TO GRAB THIS UNDER THE SEA MATH AND LITERACY PACK. Developing and maintaining a set of rules that are expected to be observed is an important part of classroom management. 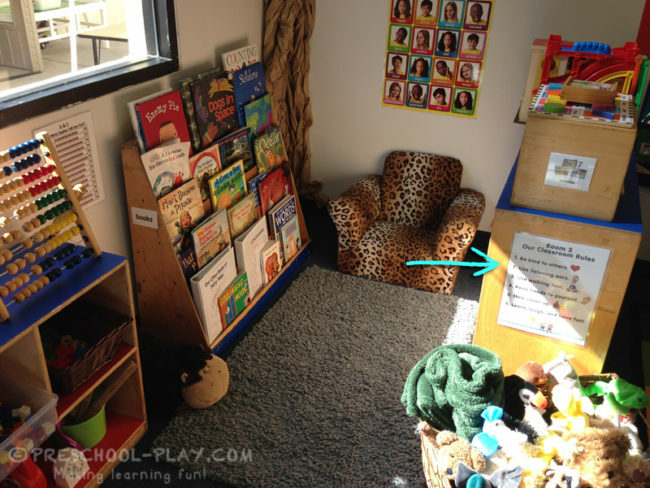 Clearly displaying those rules in your room also serves as a source of evidence for two criterion of NAEYC’s Early Childhood Program Standards and Accreditation Criteria & Guidance for Assessment. a) Items belonging to a child are labeled with his or her name. c) Print throughout the classroom. Print is used to describe some rules and routines. Hand washing instructions count if they are developmentally appropriate and posted where children can see them. d) Teaching staff help children recognize print and connect it to spoken word. Evidence includes things such as: books about these issues, anecdotal notes, posted class rules. 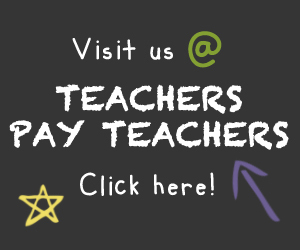 Consider children’s general responses to, and compliance with, teaching staff requests and class rules; classroom jobs and children’s participation in keeping the classroom neat and clean; conflict resolution; and teaching staff’s support in helping children negotiate problems. 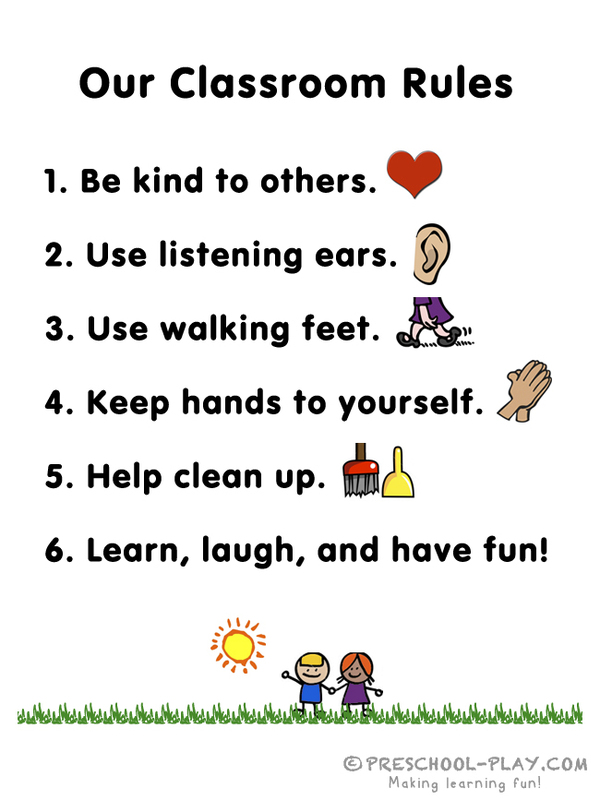 This free printable is a written and visual picture reminder of classroom rules. Be sure to discuss these with your children during group. Ask your preschoolers why they think each rule is important and encourage them to talk about what might happen if these guidelines are not followed (e.g., too much noise, messy classroom, boo-boos, hurt feelings, etc.) Afterward, display at the children’s eye level. In the picture above, you can see that I have posted our rules on the side of a bookshelf near my reading area. Honestly, #6 is our most followed rule. And THAT makes me happy. I recommend printing this out on cardstock and, for extra durability, lamination.